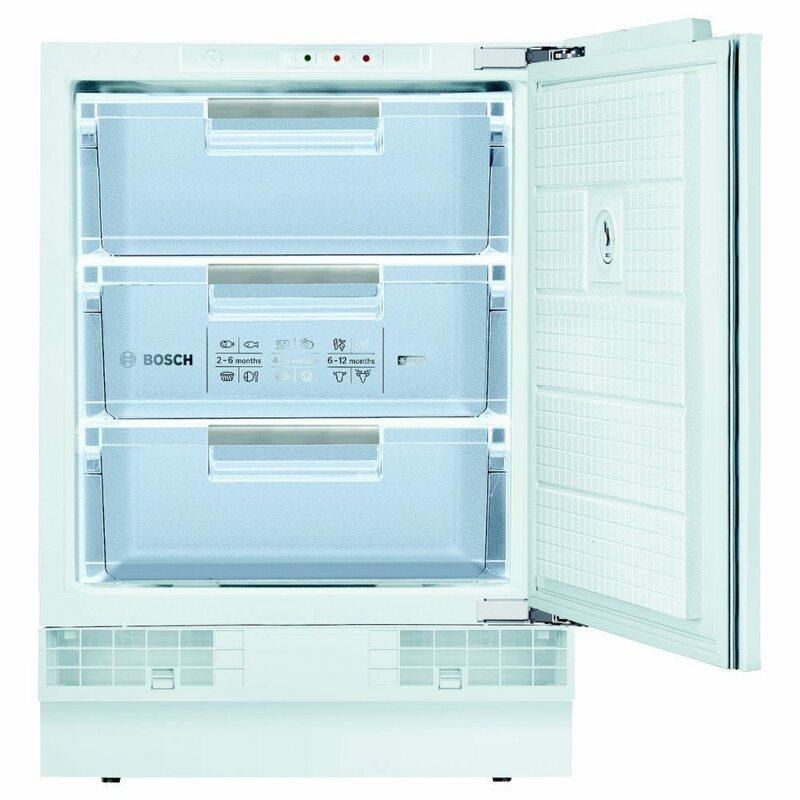 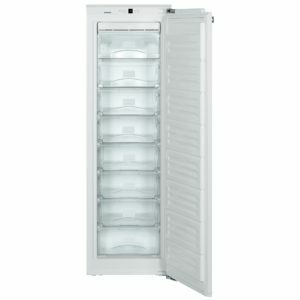 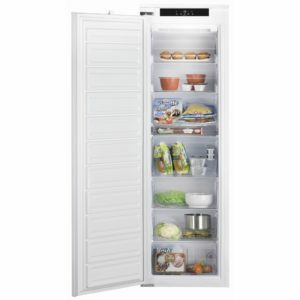 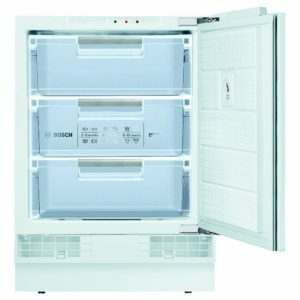 This integrated freezer from Bosch has a 98 litre storage capacity spread over 3 drawers. 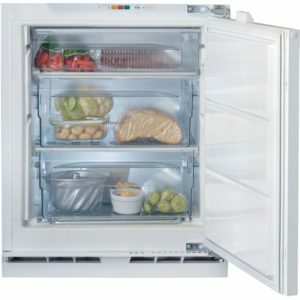 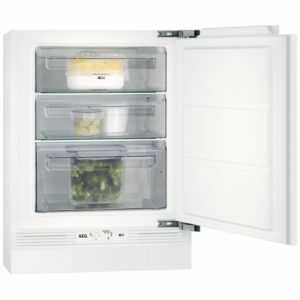 It features Super Freeze which will freeze new food quickly and will protect already frozen food against defrosting. 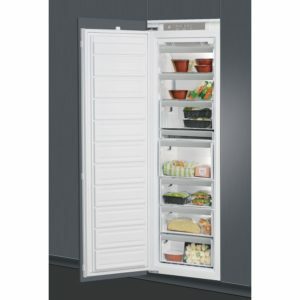 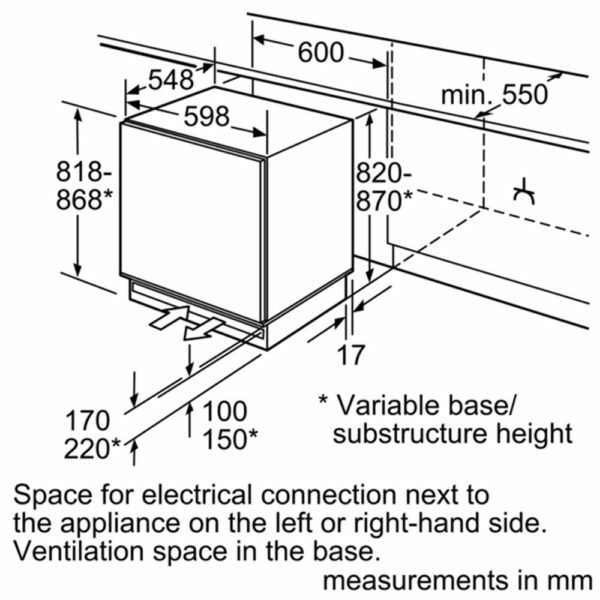 It has a useful door alarm which will alert you if the door has been left ajar. 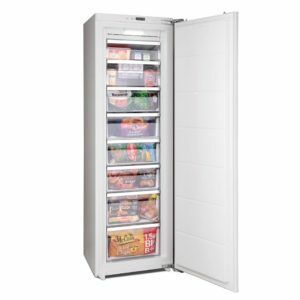 With an A+ energy rating this freezer is economical to run and is perfect for a smaller household or as additional storage space.